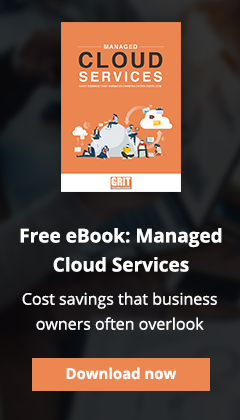 Managed services from GRIT Technologies provide you with more reliable performance and predictable expenses. This means increasing the value of the technology you've already invested in, while reducing the total cost of IT problems and the resulting downtime. We provide a range of IT Consulting, Computer Support and Network Services in Clinton Township, Macomb, Troy, Detroit, Farmington Hills, Flint, Roseville, Southfield, Ann Arbor, Novi, Sterling Heights, Warren, Shelby Township, Farmington, Michigan, Grand Rapids, Holland, Muskegon, Zeeland, Wyoming, Kentwood, Norton Shores, Walker, Allendale, Grandville, Grand Haven, Comstock Park, East Grand Rapids, Forest Hills, Jenison, Sparta, Rockford, Ann Arbor, Canton, Ypsilanti, Brighton, Howell, Kalamazoo, and Battle Creek.